We are proud to introduce lung cancer survivor and cancer advocate Leslie Welton. Leslie was inspired to create a 100% organic, healthy brand of products after her own cancer battle caused by chemicals almost took her life. This year, we are proud to boast that this amazing entrepreneur is a “Company that Cares” as an in-kind sponsor of our Tutu Cheer Packages throughout the year. Over 75 Tutu Cheer Packages were sent with a surprise deodorant/soap inside the package. My name is Leslie Welton. I was inspired by Linda’s breast cancer story and wanted to support breast cancer patients by donating deodorants and soaps to The Tutu Project for distribution to the patients they support. I hope they go on to bless patients and also put a healthy awareness into the breast cancer community about chemicals. Most editorials have featured me as Beauty Expert and Product Innovator but my most important title to date is Lung Cancer Survivor. My thriving career came to complete halt when I fell ill and proceeded to be misdiagnosed for 2 years leading up to 2014. This journey took me on a path that I never could have imagined in my wildest dreams and it fueled a passion to dig deeper as to why 1 in 3 people are all succumbing to this horrendous disease we call cancer – not to mention other immune compromising diseases. As I walked through two years of living hell, I started doing my own research about how I could have landed myself in such a sick state and what in the world I could do moving forward to help myself because not a single person in the medical community would listen to me. They eventually did but I firmly believe I am still here because of God in addition to the desire he placed on my heart to research and keep above water until a doctor would take my case seriously. The knowledge from this journey that I came away with was profound and it certainly wasn’t a one answer solution. This was how I birthed The Free Life Recipe and The Healthy & Safe Product Line that can be found on Lesliewelton.com. I encourage you to check it out as products will be launching every few months. I created The Healthy and Safe Deodorant as a solution to my lymph nodes being surgically removed in my chest and armpit area. Not only was I supremely aware of the importance of lessening my toxin burden but my armpits without a doubt let me know when I was using a product that wasn’t 100% natural. I learned that a lot of deodorants claim to be on point with this idea but have binders that are anything but safe. For me, this mission was super important because I would personally suffer from lymphodema issues when I used store-bought deodorants that claimed to be safe. This got me to fired up about how in the dark we are about chemicals. Common deodorants and even seemingly healthy ones may contain one or more of the following harmful chemicals: Aluminum, Parabens, Propylene Glycol, Phthalates, Triclosan, Etc. These chemicals may cause a plethora of maladies to include cancer, hormonal imbalance in both adults & children, organ toxicity, central nervous system issues, cell mutations, and many other adverse conditions. 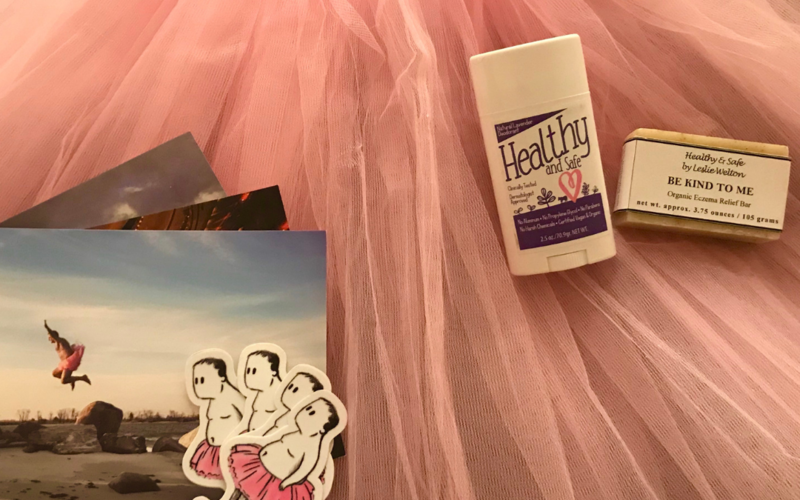 It is an absolute honor to sponsor THE TUTU PROJECT with my new Healthy & Safe Deodorant because not only has it been a labor of love for me, but also this partnering further helps my mission to educate people that walk this walk personally or are watching a family member walk it. This mission includes helping people make one healthy decision a month. I believe that the only way to eat an elephant (just a saying – vegan here) is one bite at a time. Let’s face it we will never be 100% chemical free but we can certainly do our part to lessen the taxation on our bodies. My purpose isn’t to freak anyone out, but to make everyone aware how important it is to make conscious decisions every day to read labels and seek out and eliminate all chemicals and toxins that may be harmful to your body. For starters educating people that their skin absorbs and sends anything put on it to vital organs within 26 seconds. My totally natural and 100% organic Healthy and Safe Deodorant is one way to take that first step towards eliminating unhealthy chemicals from our underarms where many lymph nodes are located and channeled right to the breasts. The Healthy and Safe Deodorant works better than any chemical driven one on the market giving your underarm lymph nodes a much-needed break to do what they do best – FILTER AND DUMP. Visit Lesliewelton.com to read more and purchase. No Aluminum, No Parabens, No Phthalates, No Propylene Glycol, No Triclosan, and No Harsh Chemicals or chemicals of any-kind —- AND YES IT DOES WORK! I took this project very seriously because our lives depend on it!!!! About me: Leslie Welton has a B.S. in marketing, is aesthetics licensed with the Board of Cosmetology, is a certified make-up artist from Make-Up Designory of Soho, NY, accredited through the Living Foods Institute for Natural Healing Modalities, and is a natural and safe product innovator. In her fight to beat cancer, Leslie used her experience to drive her passion for what she coined The Free Life Recipe. 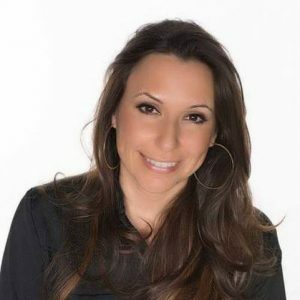 To enjoy her videos, podcasts, and to browse her growing healthy and safe product line, visitLeslieWelton.com. Disclaimer: Leslie Welton has made an in-kind donation to The Tutu Project of the Carey Foundation.